Fairfax County and Fairfax City leaders are expressing significant concerns about an I-66 toll lane maintenance facility planned at the interchange with Route 123 that has not been part of previous public meetings about the project. 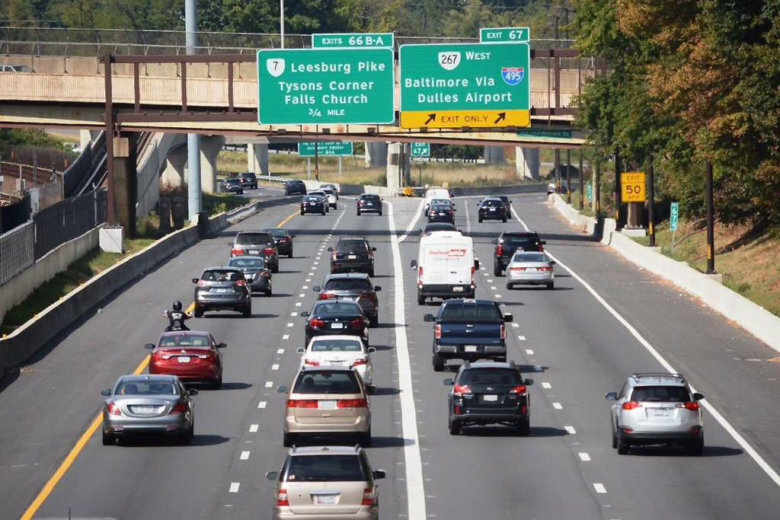 WASHINGTON — Fairfax County and Fairfax City leaders are expressing significant concerns about an I-66 toll lane maintenance facility planned at the interchange with Virginia Route 123 that has not been part of previous public meetings about the project. “I am concerned that the proposed facilities have not been fully assessed to determine their impacts, and the public has not had an opportunity to comment on the proposed projects,” County Board of Supervisors Chairman Sharon Bulova said Tuesday morning as the board voted to send a letter expressing concerns. Express Mobility Partners, the private group designing, building and operating the two toll lanes each way between the Beltway and Gainesville — which is due to open at the end of 2022, delivered a letter last week asking Bulova to hold off on the action. The letter was also delivered late last week to Fairfax Mayor David Meyer, who had written a letter in March opposing the location of the maintenance facility on the south side of Interstate 66 on either side of Route 123/Chain Bridge Road. “This hub will enable us to rapidly respond to incidents on the highway as required … as well as to perform operations and maintenance activities,” the letter from the toll lane operators said. “Our criteria for this hub are that it be in a location that allows rapid access to both the General Purpose and Express Lanes of the highway. The location at1-66 and Route 123 Is the only Interchange In our project which has that required connectivity,” it said. Around 35 full-time employees would work at the location after the toll lanes open. The land is already controlled by the Virginia Department of Transportation. Bulova said she only learned of the plans for the facility recently. “These facilities were not included as part of the previous public meetings or hearings or during the meetings held with individual homeowner associations. I believe EMP should consider other locations for both facilities to avoid significant impacts to the adjacent residential areas,” Bulova said. “Our intent is to design a facility that has minimal-to-no visual impact on the surrounding community that would be aesthetically consistent with the City’s vision for a northern gateway that also reflects the City’s long and rich heritage,” the Express Mobility Partners letter sent last week said. The designs and locations have not been made public though, and Express Mobility Partners expects a more specific proposal for the site by the end of summer. The company’s letter did offer to consider whether other locations might work. “In the vicinity of the proposed location, there are ample vacant office spaces that could be considered for the proposed usage,” Bulova said. The county’s letter calls for additional discussions about the maintenance facility to address “serious concerns”. The Fairfax City letter sent in March expressed strong opposition since the city has been working to boost development in the area through its “northfax” plan while still limiting noise and other impacts on the Cobbdale neighborhood. “Having an industrial use at the City’s northern Gateway would be counter to the economic development goals and aesthetic vision for our City,” the city’s letter said. Other vacant office buildings or more industrial sites are available in the city as well, according to the city. There are also concerns about how maintenance vehicle access could impact the planned bike path in the area. The city also hopes to eventually have a Metro station at the I-66 interchange with Route 123, although County Supervsior Linda Smyth is skeptical of whether that would be a good idea even if the Orange Line is extended in future decades.